At em our goal is to help you live mindfully, whether it's through the use of our products or just from the tips you pick up here on the blog. You'll also find announcements of new products here, advance notice of specials, and whatever else happens to dribble onto the page. Enjoy, and live mindfully! Expecting a baby this fall and wanting to do more than decorate the nursery in traditional pink or blue? No problem! At Benjamin Moore's recent ColorPulse 2011 web conference fall trends were discussed and there were some great ones! The first of the trends in the overall theme of balance that we'll discuss is Farm. Yes, farm. It's definitely in response to the economy. We're all getting back to basics. For wall and linen colors, you can go bright or neutral. 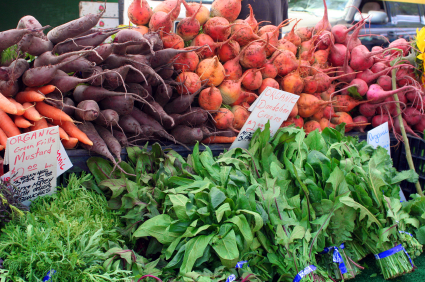 If brights are your thing, think of the vibrant orange of carrots and pumpkins, the vivid greens of peas and beans, the deep reds of ripe tomatoes or radishes. If you're looking for a more neutral tone for walls, look to earthy browns and tans. When it comes to whites, forget the stark version and go a bit creamier. And, yellows are light like freshly made butter or new sweet corn. Maybe you're more inspired by print or texture. Black and white cow print will surely add some whimsy this fall. 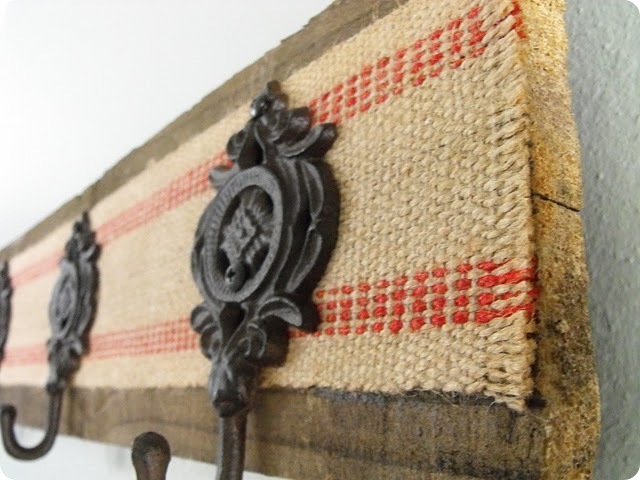 Textures like burlap, straw, or old boards fit right in with this trend, too. Not sure how to bring that into a nursery, though? Try a series of hooks to hang baby's first shoes, special trinkets and coats from. 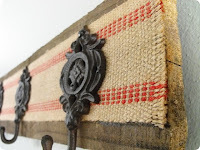 Start with an old board cut to your desired length, top with a strip of burlap, and finish off with vintage style hooks. Super simple and loads of charm! Need some artwork that's a little more personal? Now's the time to ask Grandma for a special needlepoint or crosstitch piece. A sampler is a great standby if your not sure of a design or theme for a piece, too. All those letters and numbers will surely come in handy when baby gets older and is learning the A, B, C's and 1, 2, 3's! Stay tuned for Parts 2-4. We promise, if Old MacDonald and his Farm aren't your cup of tea, there will be something else to excite and inspire you! mindful products for mindful people... That's what we're about. em provides a full range of 100% natural products for all areas of your life - bath & body, maternity, home, just for men and aromatherapy! Stop worrying about what ingredients are in your favorite products and live mindfully! Learning to Say No... to Yourself!